A Saturday afternoon filled with jitters and excitement as the Datu and the Warriors spearhead this season’s buena mano game. The Datu needed a second-half groove to secure a win by shutting out the Olongapo Warriors, 20-0, last Saturday at the Circuit Makati Blue Pitch where fans came in droves in spite of the on-and-off rainy weather. 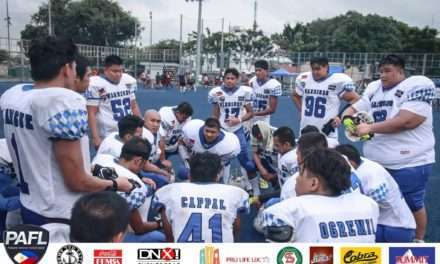 Both teams played tight as they got off to a rough first quarter with incomplete passes and thrown interceptions, with the Datu having two and Warriors having one. Their respective running game did not have much success as well, as they never got to the red zone, ending the first period with at 0-0. 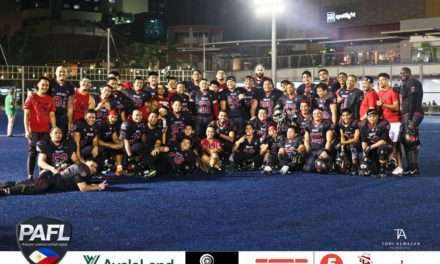 Despite a slower second quarter because of penalties on both sides, the action picked up as WR Ian Lim caught a 25-yard pass for what would have been Datu’s first touchdown but was later nullified due to a holding call. The team regrouped and made up for it to inch closer to the red zone for a scoring opportunity. The Warriors defense tried to hold the fort but QB Roel “Wewe” Alvero pulled off a quarterback sneak for a 1-yard touchdown, giving the Datu a cushion, 6-0. The Warriors had a chance to tie the score but a late second quarter sack safety rewarded the Datu with 2 points to put them up, 8-0. 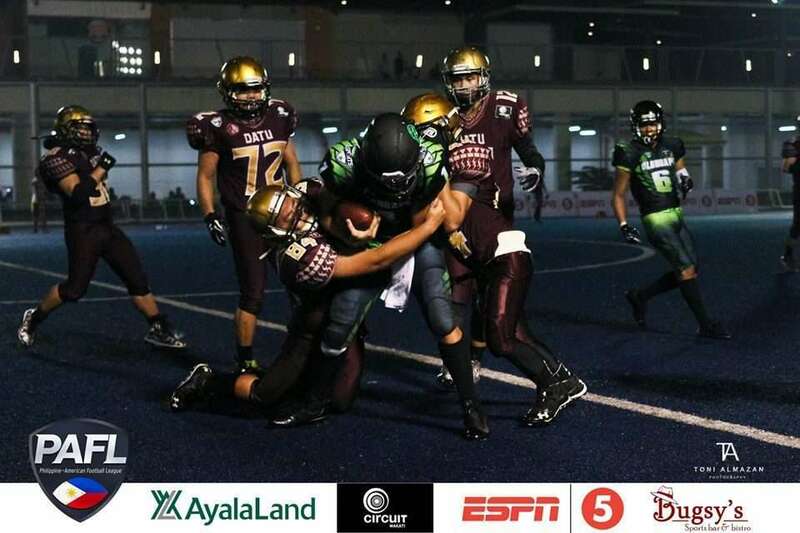 Come the third period, Datu turned to their running game that carried the momentum to gain a series of first downs and set up a 40-yard rushing touchdown by speedy RB Aaron Velasquez as he dodged the Warriors defense with his lightning quick and ankle-breaking feet, giving Datu their second touchdown, 14-0. Early on in the final canto, the Datu’s running game managed to get within striking distance. This set up another scoring opportunity as Alvero jettisoned a perfect pocket pass to WR Gio Vergara for an 8-yard touchdown, and extend Datu’s lead, 20-0. This diminished the hopes of the Warriors of making a late-game comeback as they continue to be short of getting to the red zone. 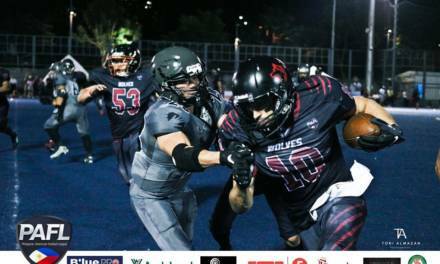 What seemed to be a painful passing game for Alvero, who had a total of 5 picks, their own running game became instrumental as the game progressed that to help deliver their first win, which they will try to duplicate next Saturday. “Yes, for sure. We will evaluate it (our overall game) for our next game on Saturday,” Alvero said postgame. Meanwhile, RB Joel Catayong is still hopeful they can make a turnaround after today with their rookies getting their baptism of fire. “Not really an excuse but we didn’t have our starting quarterback. His wife gave birth. Our other QB could not make it either due to work-related matters. 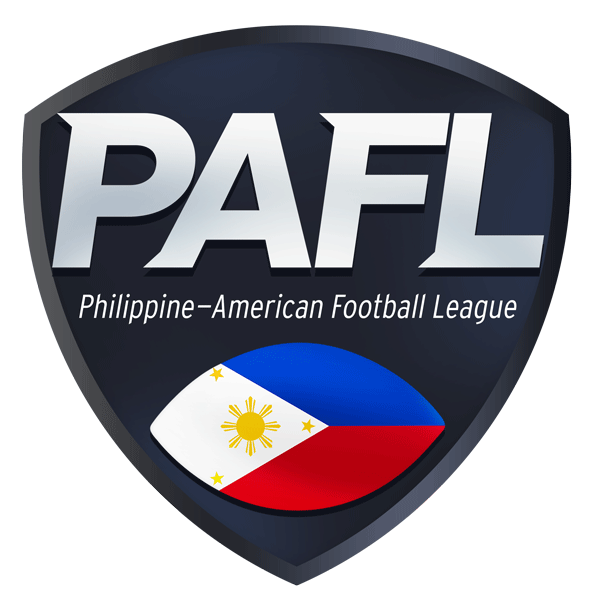 Our rookies get to experience what it’s like [to play in the PAFL],” Catayong said. Nonetheless, they see this as an opportunity on what they can improve in the coming games. “We were gassed. We need to improve our conditioning level,” Catayong said. The Datu look to make it two-in-a-row as they face a tall order of facing the defending champion Wolves on Saturday, September 8. The Warriors buy some time as they take the weekend off and come back fresher and rejuvenated when they take on the Cavemen on September 15. Rookie linebacker Enroe Pichay tweaked one of his knees in the second quarter and did not return. Medics carrying a stretcher were summoned to the field, but Pichay chose to stay on the sidelines to witness his team win. He said that he is suffering from knee inflammation and will have it checked by their team physician at the soonest time. He is questionable to play in their next game. NextCAVEMEN: Hungry for the Crown!